In medium bowl, combine flour, sugar, baking powder, and salt. Set aside. In large mixing bowl, combine egg yolks, evaporated skimmed milk, oil and maple extract. Whisk until well combined. If desired you can replace the evaporated milk with 1 and 1/2 cups regular milk. Gradually, add dry ingredients to the wet ingredients, beating well after each addition until smooth. In small mixing bowl, beat egg whites until stiff peaks form. Gently fold egg whites into batter. Preheat waffle iron according to manufacturer's instructions. 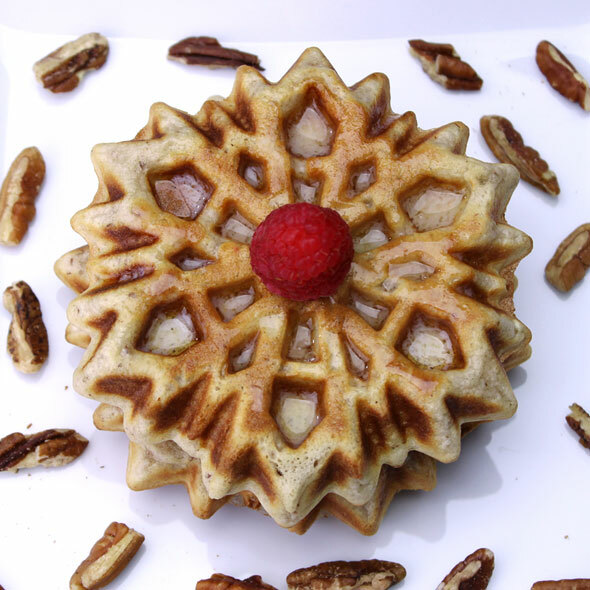 Pour 1/2 cup batter onto hot iron; sprinkle with 1 tablespoon chopped pecans. Bake 3 to 4 minutes or until steaming stops. Repeat with remaining batter and nuts. 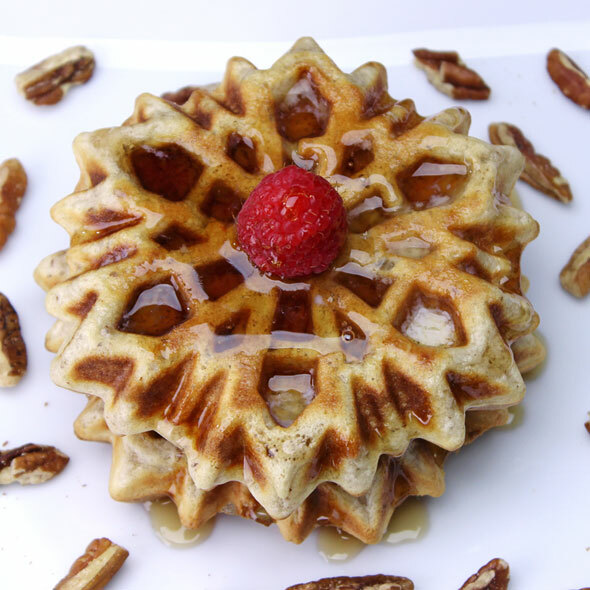 To make the waffles shown here, I used a Disney Frozen Sisters Snowflake Waffle Maker. It cost about $20. 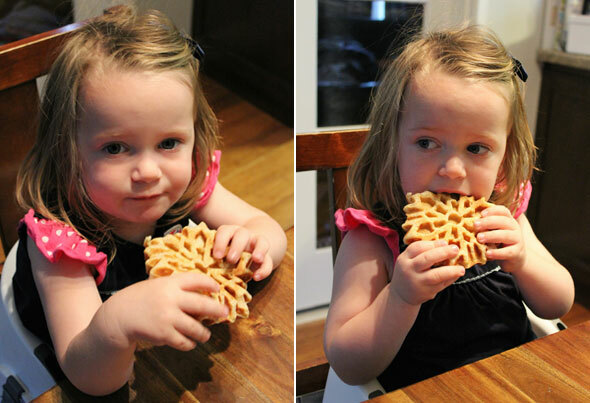 The waffles it makes tend to be more dense, but they’re unique, pretty and fun for kids. 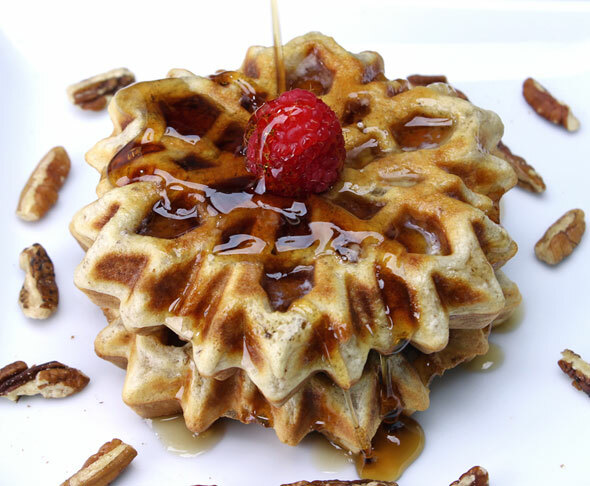 This recipe made 8 waffles using 1/2 cup batter per each waffle. I deviated from the recipe directions just slightly by mixing the chopped pecans into the batter as opposed to sprinkling them over the batter. The 'nutty' comes from chopped pecans and the 'maple' is from flavor extract. Evaporated milk (optional) adds moistness and a unique sweetness. Mr Breakfast would like to thank lexani97 for this recipe. Recipe number 617. Submitted 9/14/2002.